1 – You shouldn’t swim with your phone. But you can use your phone to find out if it’s safe to swim at your local beach. myBeachCast for Bay City, Michigan, on June 19, 2015. 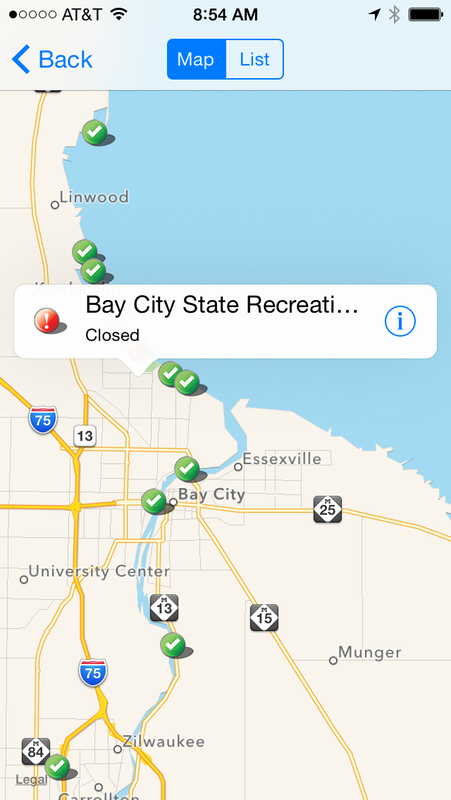 A myBeachCast mobile app has been updated, and is available for iPhone and Android smartphones. You can download the app online at beachcast.glin.net. It will give you the latest swim advisories and weather conditions for more than 2,000 beaches in the Great Lakes region. The latest version of myBeachCast features hazard alerts from the National Weather Service for high winds and waves, and strong and dangerous currents. The app also connects to health department databases across the region to alert users of contamination advisories. The app is a project of the Great Lakes Commission, LimnoTech of Ann Arbor, and states in the Great Lakes region. 2 – If you fish in Bay County, be sure to eat safe. That’s the message from Bay County officials. There are advisories for fish caught in Bay, Saginaw and Midland counties. You should limit or avoid eating certain fish from the Saginaw Bay, Saginaw River and Tittabawassee River due to chemical contamination. For example, don’t eat carp, catfish or white bass from the Saginaw River. But yellow perch are OK to eat twice a month, and walleye are OK to eat up to six times a year. The Michigan Department of Health and Human Services tests filets of fish for chemicals to set the guidelines. When consuming fish caught in Bay, Saginaw or Midland counties, officials advise that you choose the right fish, clean it properly, and cook the fish on a grill to allow any excess fat to drip away. More information is online at michigan.gov/eatsafefish or visit Bay County’s Health Education website. 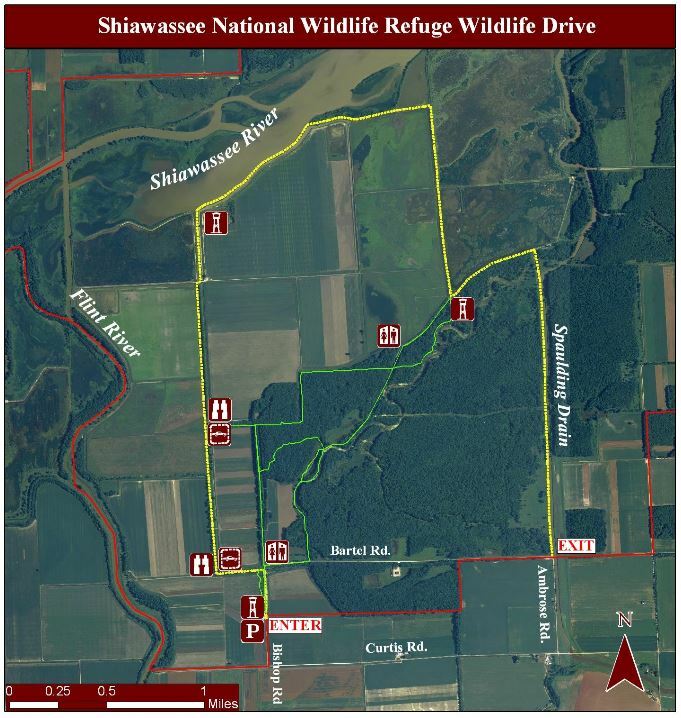 3 – The Wildlife Drive Auto Tour is now open at the Shiawassee National Wildlife Refuge in Saginaw County. The tour allows visitors to drive through the refuge, and runs from June 1 through Sept. 30. It’s open during daylight hours, and closes one hour before sunset. The Wildlife Drive will take you past forests, grasslands, marshes, open water pools and the Shiawassee River. It runs for six and a half miles and includes observation platforms and parking areas along the way.